Euro has reached its upside target. We think, today the price may return to level of 1.2500, start another ascending structure to reach level of 1.2585, and then return to level of 1.2500 again. Thus, the pair may form another consolidation channel. In case the price breaks it upwards, the market will reach level of 1.2725; if downwards – the price may fall to reach level of 1.2315 (an alternative scenario). Pound is moving inside a consolidation channel. If the price breaks it upwards, it may reach level of 1.6115. 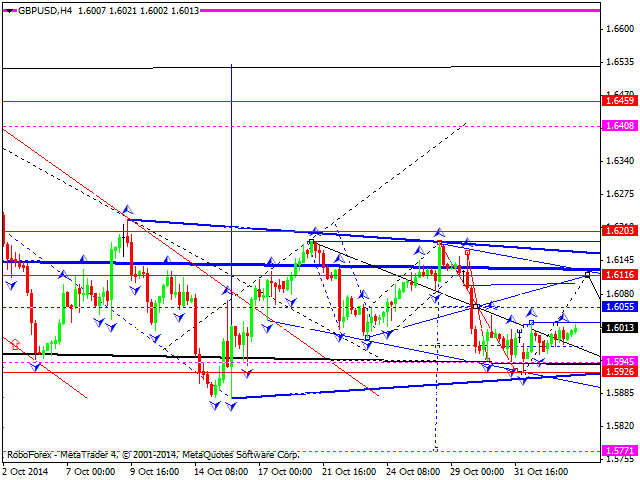 However, if the pair breaks it downwards, the market may fall and reach level of 1.5770. Franc has reached a local target of its descending structure. We think, today the price may return to level of 0.9630, form another descending structure towards level of 0.9570, and then grow to return to level of 0.9630 once again. Thus, the pair may form another consolidation channel. 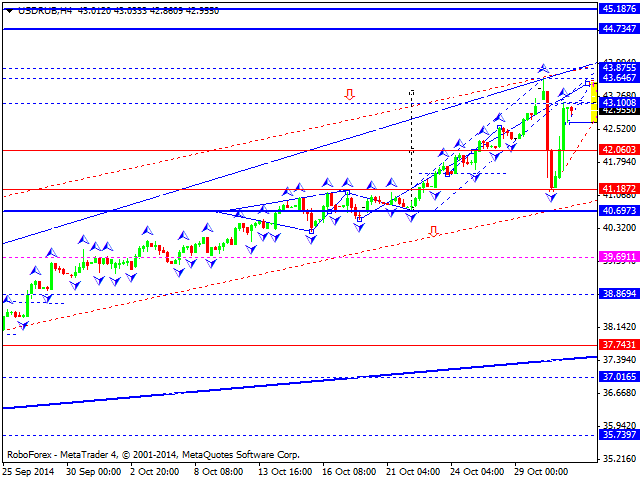 If the price breaks it downwards, the market may continue falling and reach level of 0.9475. 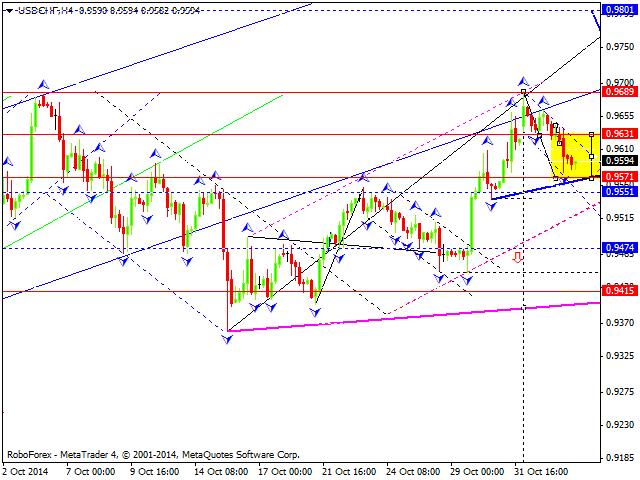 However, if the pair breaks it upwards, the price may reach level of 0.9800 (an alternative scenario). Yen has made another attempt to break the maximum of its ascending wave and now is expected to form a consolidation channel. 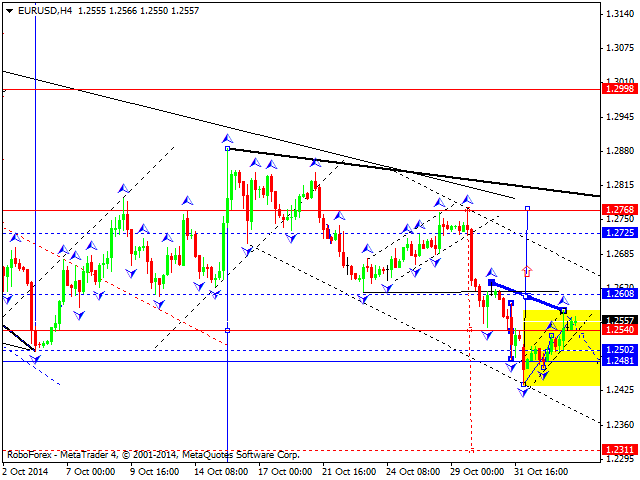 We think, today the price may fall towards level of 112.95, thus forming the borders of this channel. If the pair breaks it downwards, the market may continue falling and reach level of 111.00. 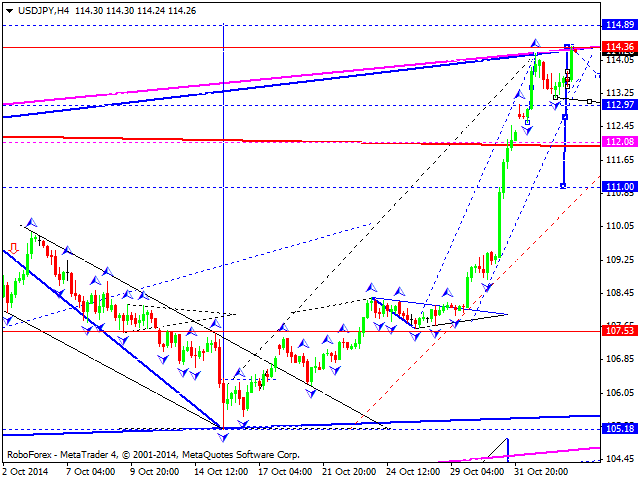 If the pair breaks it upwards, the price may reach only level of 114.98. Australian Dollar has reached its upside target and right now is moving downwards inside the fifth descending structure; the pair is expected to form a structure with the target at 0.8590. 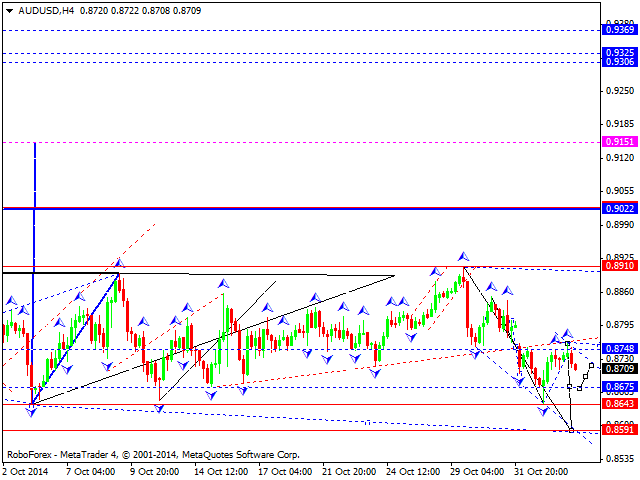 We think, today the price may reach level of 0.8675, consolidate, and then continue growing towards level of 0.8715. Later, in our opinion, the market may resume falling towards the above-mentioned target. The market was opened with a gap up; Ruble has reached the upside target of its extended structure. We think, today the price may form a new consolidation range and a reversal pattern. Later, in our opinion, the market may start a strong descending movement as a correction. The first target is at level of 43.00. 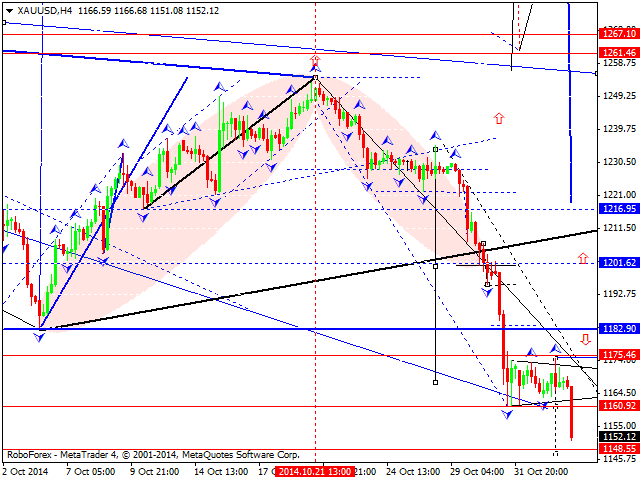 Gold has left a consolidation triangle pattern downwards and reached its downside target. We think, today the price may return to level of 1160. Later, in our opinion, the market may form a consolidation range and a reversal pattern to return to level of 1200.